Joyce A . Mitchell And Associates, P.C. 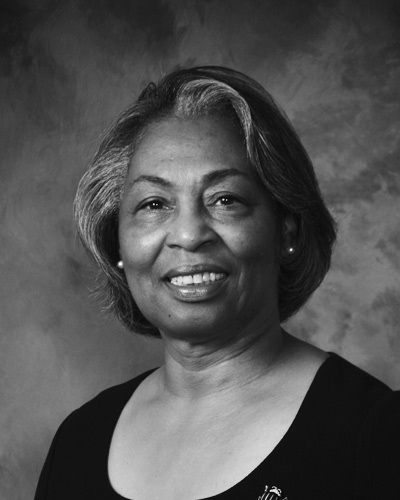 Joyce A. G. Mitchell, Esq. is President of Joyce A. Mitchell and Associates. Her legal practice is in the areas of business, employment, construction and labor law. Joyce is licensed to practice in the state of Maryland and the District of Columbia and has bar memberships before the United States District Court for Maryland, United States Court of Appeals for the Fourth Circuit, Maryland Court of Appeals, District of Columbia Court of Appeals, and the Supreme Court of the United States. Joyce mediates and arbitrates nationwide. She has been practicing mediation since 1996 and has mediated more than 1500 cases. She is a certified mediator in the states of Virginia and North Carolina. She is a skilled negotiator and has had more than 300 hours of conflict resolution, multi-party facilitation and mediation trainings in various subject areas, levels, and mediation approaches. She mediates for the Equal Employment Opportunity Commission’s Washington District Office and the Financial Industry Regulatory Authority (FINRA). Joyce is on the roster of mediators for several ADR private dispute resolution providers and mediates for them at federal agencies. She conducts multi-party facilitation sessions, early neutral evaluations, organizational and management inquiries, fact finding and speaks at various professional associations’ meetings on the uses on ADR techniques. She has been an arbitrator since 1997 when she began her volunteer service with the Better Business Bureau. She has served as an arbitrator on several national arbitrator commercial and employment panels and now arbitrates exclusively for FINRA and the American Arbitration Association (AAA). Over the years, she has arbitrated numerous complex securities, employment, and business matters. Her training in labor arbitration was with the Federal Mediation and Conciliation Service. Her commercial arbitration training was with and is ongoing with AAA and FINRA. She has served as a Panel Chair for both organizations. Ms. Mitchell has completed more than 80 hours of arbitration training. She has taught arbitration as an adjunct at the University of MD Carey School of Law in Baltimore for eight (8) years. From 2002 -2012, Joyce taught 2 ADR Techniques courses as an adjunct at the Columbus School of Law at Catholic University in Washington, DC. She provides conflict resolution trainings to groups. She served as co-trainer for the Maryland State Bar Association’s 40-hour Basic Mediation Training for five (5) years. She is a former Chair of the MSBA ADR Section, Co-Chair of the ADR Section of the Bar Association of Montgomery County, MD and 2nd Vice Chair of the ADR Section of the National Bar Association. In 2007 and 2009, Ms. Mitchell appeared on the Montgomery County MD “Law School for the Public”, segment on ADR, which aired on Montgomery County Cable Public Access. She is one of eight mediators in Maryland who appear in the Maryland Mediation and Conflict Resolution Office (MACRO) training video, entitled: “How Do We Mediate Thee”, on best practices in mediation and mediation techniques. This video has been shown at national ADR conferences across the country. She is featured in two American Bar Association CLE videos entitled “Effective Mediator Practice” and “Advocacy in Mediation”.